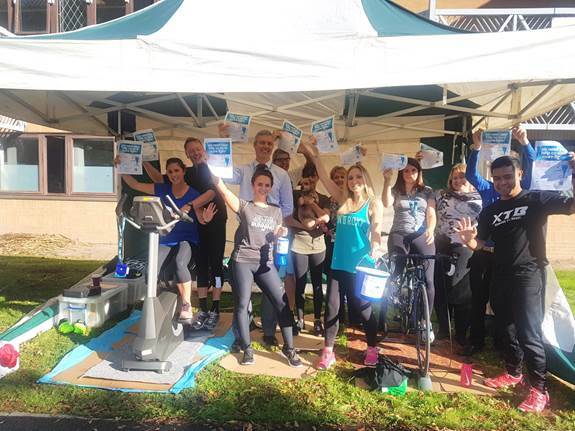 In addition to our staff taking part in the 12 hour bike-a-thon, director Mike Radford organised for Olympic Champion James Cracknell to present a donation on behalf of Somerset Surgical Services. Our Development Manager and Spinal Patient Pathway Co-ordinator visited the local Springboard Opportunity group where they were shown around the centre and introduced to the children and staff. The donation made covers over a month’s upkeep of the Springboard mini-bus. The Northern Cleft Foundation is a charity which our Maxillofacial Surgeon Ali Cobb works with, funding and performing vital cleft palette surgery for children in India. Patient Pathway Co-ordinator Caroline Marsh organised a Hockey match to raise funds to help this charity and we were proud to double the funds that she raised.